The National Department of Tourism (NDT) briefed the Committee on its 1st Quarter Performance Report for 2018/19. As far as the overall target, the Department had achieved 72 out of 88 targets in this period. For the Programme there were seventeen targets of which sixteen had been achieved. Only one target was partially achieved. On the vacancy rate, the target was for it not to exceed 8% which was achieved with the vacancy rate only being 6.4%. On black representation within the NDT the target was to maintain a minimum of 91.5% black representation. The target was surpassed with black representation being maintained at 95.4%. For the Programme there were 22 targets of which 86% was achieved whilst the remaining 14% was not achieved fully but significant work had been done. The target to publish the 2016/17 State of Tourism Report (STR) was not achieved in this quarter. For the Programme there were 15 targets of which 11 had been achieved whilst 4 had not been achieved due to challenges. The target to finalise procurement for the development of an ownership and operational model for budget resorts was not done. The reason was based on the recent Concession Report that there was a need to refocus the project broader than just on budget resorts. On the number of initiatives supported to promote Broad-Based Black Economic Empowerment (B-BBEE) implementation the target for the Quarter was to have a network session at the Tourism Indaba which was done. On the financial performance of the NDT as at June 2018 the expenditure of the NDT for the Quarter sat at 50% of its total budget of R2.26bn. 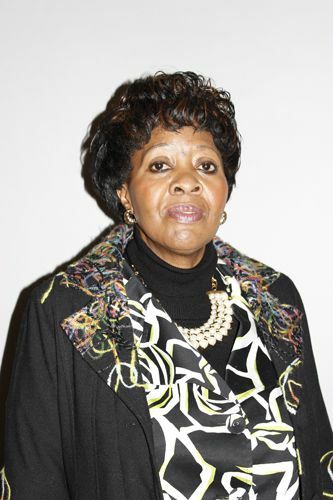 The Chairperson raised concern about the NDT providing Secretariat services to the Broad-Based Black Economic Empowerment (B-BBEE) Charter Council. The Charter Council was supposed to be autonomous. The NDT was also asked why no enterprises and projects were approved through the Tourism Transformation Fund. What were the challenges? Members were concerned about delays that had happened in Quarter 1 and asked what guarantees there were that all projects contained in the 2018/19 Annual Performance Plan (APP) would be done. The NDT was asked whether it evaluated the value of its women’s programmes. Had any progress on these programmes been observed? Members asked whether the women would graduate to advanced levels and whether the NDT had mechanisms in place to ensure that these women hit the big leagues. Members had concerns that tourism information centres were not what they should be. The NDT was asked what happened to research that it had commissioned and whether the research done had any impact on the sector. On youth placement the NDT was asked whether it was producing more graduates than what the industry needed. The concern was that there were many graduates that were unemployed. On the Tourism Transformation Fund the NDT was asked why it had relegated its areas of work to the National Empowerment Fund (NEF) and the Industrial Development Corporation (IDC). Did the NDT lack capacity? Members asked how the NDT recruited young people from province to province. Did some provinces have certain skills which others did not? On financials, members further asked whether there were any savings that the NDT had made; actual saving not under spending was being referred to. The NDT was asked whether it was making a difference on the eradication of poverty and unemployment in SA. Members asked whether the targets set by the NDT were Specific, Measurable, Attainable, Relevant and Timely (SMART). On the number of enterprises to be supported for development the NDT was asked why it had fallen short of its quarterly target. What was the challenge and how would things be taken forward? Members asked how many provinces had or did not have incubators. How would the NDT ensure that all provinces had incubators? On tourism incubators, members felt that there ought to be more tourism products in townships. The NDT was asked for feedback on its efforts around air access in the KwaZulu-Natal and Gauteng Provinces. What were the plans of the NDT on the establishment of Public-Private Partnerships (PPP) on the conversion of state owned municipal resorts. The concern that members had was that there were many municipalities that had tourism assets that were not properly utilised. The Committee Secretary briefly spoke to the process around the Committee’s response to the High Level Panel Report. Members would discuss and take a decision on the Committee’s response the following week as Parliament required a response by 28 September 2018. Mr Victor Tharage Director General, NDT, stated that the NDT had 88 targets for the period under review. Out of this, 72 had been achieved with the remaining 16 not being completed. He noted that Quarter 1, which was the starting quarter, was always a challenge. Ms Lulama Duma, Deputy Director General: Corporate Management, NDT, stated that under this Programme there were 17 targets of which 16 had been achieved. Only one target was partially achieved. On the number of strategic documents developed the annual target was to develop the Annual Performance Plan (APP) 2019/20. The target for the Quarter to have organisational performance management guidelines for 2018/19 reviewed was met. On the vacancy rate, the target was for it not to exceed 8% which was achieved with the vacancy rate only being 6.4%. On black representation within the NDT the target was to maintain a minimum of 91.5% black representation. The target was surpassed with black representation being maintained at 95.4%. Ms Aneme Malan, Deputy Director General: Tourism Research, Policy and International Relations, NDT, stated that for the Programme there were 22 targets of which 86% was achieved whilst the remaining 14% was not achieved fully but significant work had been done. On the number of monitoring and evaluation reports developed the target to have the framework for the 2017/18 National Tourism Sector Strategy (NTSS) Implementation Report reviewed was achieved. However the target for the Quarter to publish the 2016/17 State of Tourism Report (STR) was not achieved. She added that just as the STR was about to be published new information had become available. Ms Shamilla Chettiar, Deputy Director General: Destination Development, NDT, stated that for the Programme there were 15 targets of which 11 had been achieved whilst 4 had not been achieved due to challenges. On the number of destination planning initiatives undertaken the target for the Quarter to finalise procurement for the development of two concepts had been done with the signing of the Memorandum of Understanding (MOU). However the target to finalise procurement for the development of an ownership and operational model for budget resorts was not done. The reason was based on the recent Concession Report that there was a need to refocus the project broader than just on budget resorts. Mr Bernhard Meyer, Acting Deputy Director General: Tourism Sector Support Services, NDT, spoke to the performance of the Programme. On the number of initiatives supported to promote Broad-Based Black Economic Empowerment (B-BBEE) implementation, the target was to have a network session at the Tourism Indaba which was done. On the number of initiatives supported to stimulate domestic tourism the target for the Quarter to have three information workshops held for the finalisation of the Domestic Tourism Framework was surpassed, four workshops were held. However; on the number of enterprises supported for development the target for the Quarter to select 400 beneficiaries was not met with only 294 beneficiaries being selected whilst the selection of the remaining 106 was pending. Mr Mohit Maharaj, Acting Chief Financial Officer (CFO), NDT, spoke to the financial performance of the NDT for the Quarter. As at June 2018 the expenditure of the NDT for the Quarter sat at 50% of its total budget of R2.26bn. Ms V Bam-Mugwanya (ANC) asked, given the delays that happened in Quarter 1, what guarantees were there that all projects contained in the 2018/19 Annual Performance Plan (APP) would be done. She also asked what the reason for the deferral of signing of contracts on training was. On the diversification and enhancement of tourism offerings (Slide 24), she asked when the Committee could expect the Master Plan to kick in. Ms Bam-Mugwanya further asked whether the NDT evaluated the value of its women’s programmes. Had any progress on these programmes been observed? What were the NDT’s programmes for the elderly was? Did the NDT evaluate the outcomes of Small Enterprise Development Agency (SEDA) efforts throughout SA? She added that tourism information centres were not what they should be. What had happened to research papers that it had commissioned? Had the research papers done made any impact on the sector? On youth placement the NDT was asked whether it was not producing more graduates than what the industry needed. Many graduates were unemployed. Was there perhaps a way for the NDT to regulate the salary expectations of graduates? On the Tourism Transformation Fund she asked why the NDT had relegated its areas of work to that of the National Empowerment Fund (NEF) and the Industrial Development Fund (IDC). Did the NDT lack capacity? Ms Chettiar answered that all four Master Plans would be ready by March 2019. Tourism assets that were already there as well as new products would be looked at. Infrastructure would be taken into consideration. Marketing would also be done if there was potential to expand. A master plan was put in place to grow tourism in an area. The Master Plan on the Cradle of Mankind had expended over 20 years. Once a master plan was in place then it fed into the Local Economic Development (LED) Plans and Integrated Development Plans (IDPs) of municipalities. It would take time to implement master plans. She noted that the Expanded Public Works Programme (EPWP) was aimed at providing temporary work and to provide skills for the youth. The NDT had done well on its chef’s programme. Placement on it was between 80%-90%. It was really about providing youth with skills and placement in the short term in a particular space. Sometimes the NDT did train more people than what they had jobs for. The EPWP was driven by the Department of Public Works (DPW). The NDT worked within the ambit of the EPWP. The NDT was bound by conditional grants. Ms Broderick responded that the Executive Development Programme on Women was not yet at the point of evaluation. The Programme had just started. Provincial chapters on the Programme would be started. There would be targeted initiatives and thereafter the Programme would be evaluated. A graduation ceremony had taken place some weeks ago and most of the women that had participated were promoted to general managers. The Programme trained women in smaller establishments too. Mentoring was also done. Mr Meyer, on why the NDT had partnered with the NEF and the IDC, noted that the NDT had to partner with as many organisations as possible in order to expand the reach. The NEF had specialised skills that the NDT might not have. The NEF also had the capacity to deal with large volumes of applications. The main reason was around skills and capacity. Ms Malan stated that research papers were posted on the website of the NDT. The papers were available. The NDT did applied research. It did research according to need. The research done was influenced by its programmes. The NDT had looked at the impact of mega events. She explained that youth that were recruited already had a tourism qualification in a particular field or simply needed practical experience to finish their studies. Mr Tharage said that SEDA had one training programme which was very reputable. Ms S Nkomo (IFP), on the 40 women that had participated in the NDT’s programme, asked in what types of levels of business they were in. Would these women graduate to advanced levels? What mechanisms did the NDT have in place to ensure that the women went on into the big leagues? She also asked how young people were recruited from province to province. Did some provinces have certain skills which others did not? On financials she asked if there were any savings that the NDT had managed to make. She was not referring to under-spending. She referred to actual saving. Did the NDT get value for its money? She said that the Committee was interested to know what difference was made to eradicate poverty, employment etc in SA. What contribution was the NDT making? Mr Tharage, on whether tourism was making an impact, said that tourism created 700 000 jobs which was more than the mining sector. The Gross Domestic Product (GDP) of tourism was under 3%, its contribution was 2.9%. There was R110bn worth of GDP contribution. On NDT’s executive women development before graduation in 2017, five women had received jobs as general managers in big hotels. The ultimate aim was for women to reach board level leadership. He explained that the NDT made savings in the manner in which it crafted its terms of reference. The NDT was required to get bids. The lowest bid had to be accepted but also had to meet requirements. Processes had to be followed. Ultimately the entire appropriation had to be spent. If funds were not going out in the economy then it was trapped in the system. This was a real challenge. Spending had to be done according to Public Finance Management Act (PFMA) guidelines. Ms Masehela asked whether targets set were Specific, Measurable, Attainable, Relevant and Timely (SMART). She noted that in some instances the meeting of a target required cooperation from other departments. Ms Masehela referred to the youth that had been trained and asked why they could not be placed because the NDT still had to verify municipalities (Slide 19). When the youth filled out applications did it not contain information on which municipalities they came from? Why was the Quarter 1 target of having 400 Small, Medium and Micro Enterprises (SMMEs) supported on non-financial business development not met? Actual performance sat at 294 whilst 106 was still pending. What was the challenge and how would the matter be taken forward. She asked how many provinces had or did not have incubators. How would the NDT ensure that all provinces had incubators? Ms Broderick responded that there were four incubators ie Phalaborwa (Limpopo Province), Pilanesburg (North West Province), Mier (Northern Cape) and Manyeleti (Mpumalanga Province). She explained that the 400 SMME figure was the annual target. The NDT was not concerned about the figure. Provinces were being engaged. The NDT did make an impact and the figure of 400 was close to being reached. Ms Malan pointed out that 394 youth were recruited of which 206 related to specific municipalities where they lived. It was about where the youth needed to be placed. The NDT targeted youth that were in their own municipalities. All the youth had to be security vetted. Qualifications were checked and confirmations were done whether they actually were in areas. The youth were aware of all processes. Mr Chettiar, on whether targets followed SMART principles, stated that there was always room for improvement. Procurement processes usually took three months. Plans were made according to information available. Mr Tharage wished to place it on record that the NDT’s targets were stretched. The Department’s intention was good and it wished to make an impact. The NDT had shared what it was doing on incubators. Internal conversations were taking place. The NDT was aware that perhaps it might end up not being sustainable. There needed to be a centralised support mechanism. The NDT was currently reviewing models. Mr J Vos (DA) asked for feedback on the NDT’s efforts on air access in the KwaZulu-Natal and Gauteng. On tourism incubators, he stated that there should be more tourism products in townships. What were the Department’s plans on the establishment of Public-Private Partnerships (PPPs) on the conversion of state owned municipal resorts? There were many municipalities that had tourism assets that were not properly utilised. Ms Broderick stated that township development was taking place at Vilikazi Street in Orlando, Soweto and in Ekurhuleni. Ms Chettiar, on under-utilised tourism assets, said that there were at least 700 properties that could be used for tourism. The NDT needed to work with its partners who owned these facilities. There were two initiatives on regional economic development and the South African Local Government Association (SALGA) would be part of it. The starting point would be on how best to use the assets. At national level the NDT was already working with amongst others the South African National Parks (SANParks).The issue was also about how concessions was to be used. New players would be brought in. Mr Tharage explained that air access work was done through SA Tourism. It was largely driven by provinces. Gauteng was one of the provinces. The NDT worked on the sustainability of services to small airports that required long term leases. He pointed out that Hoedspruit Airport received large volumes of tourists. These types of airports needed to be supported. Where the numbers were airlines needed to follow. The Chairperson pointed out that the annual target of having 600 trained youth placed for the NTIMS data collection had not progressed as was expected (Slide 20). Why had the quarterly target of data collection not commenced? She asked what the glitches were and what the plan going forward was. She was concerned about the NDT providing Secretariat services to the B-BBEE Charter Council (Slide 34). The Charter Council was supposed to be autonomous. She found the matter to be ambiguous and that there was some level of conflict of interest. How would the Charter Council be critical of the NDT if it relied on the NDT to provide it with Secretariat services? The Charter Council should be critical of the work of the NDT and of the industry at large. She asked for an explanation on why no enterprises and projects were approved through the Tourism Transformation Fund (Slide 42).The adjudications committee had met but could not come up with anything on transformation tourism fund applications for funding? What were the challenges? Mr Tharage, on the Secretariat services provided to the Charter Council, said that the NDT had the same concern at the outset. Industry needed to come on board. Other charter councils were never in the field of government. However, somebody had to give the Charter Council a start. To date though no problems were encountered. He pointed out that resource wise the NDT did not have what it would like to have. The NDT thus had to pull people from various areas whilst still facing risks, especially on procurement. The NDT tried its best to minimise risks. Tourism was a concurrent mandate. Everyone concerned had to find ways to bring collaborative areas together so that everyone could work alongside each other. The reality was that products on the ground were assets of municipalities. These were long term efforts. National assets such as SANParks and Robben Island were easier to develop through the process. On what was out there in municipalities he could not be specific but assured members that the NDT was working on it. Mr Meyer, on approvals, said that it was early days for the programme. The forms that had to be filled in were complex as Public Finance Management Act (PFMA) requirements still had to be met. The NDT needed to support viable projects. Proper governance had to be ensured. The NEF would be engaged around simplifying things. Ms Chettiar, on delays in finalising procurement, said that the issue was about how it impacted delivery. On destination development the NDT did not expect much. On skills development there could be impact on the meeting of targets for Quarter 2 and partially for Quarter 3. The plan was still to meet all targets. She noted that procurement was a difficult thing. When one adjudicated then there needed to be complete compliance with terms of reference. There would be panels in place to do pre-qualifying. In the long run the NDT tried to deal with challenges. She continued that for the benefit of the Committee but more specifically for the benefit of Mr G Krumbock (DA) she wished to provide an update on the signage matter at the Nelson Mandela Capture Site, near Howick in KwaZulu-Natal Province. The South African National Roads Agency SOC Ltd (SANRAL) had approval for two signs on the N3. There was also to be signage off the N3 itself. SANRAL had challenges around procuring the sings but progress to date was that the signs had been designed. The Minister of Tourism Mr Derek Hanekom was communicating with the Minister of Transport to fast-track the procurement process. to speak to the process around the Committee’s response to the High Level Panel Report. Mr Boltina explained that the Committee had a draft response to the High Level Panel Report. The Report had been forwarded by the Speaker of the House to all committees. Committees were required to respond to it. There were two issues which were referred to the Committee to which the Committee tried to respond to. The draft response was compiled in document form and would be circulated to members for perusal. Members should indicate to Committee Staff whether they agreed or disagreed with the response. Parliament required of committees to respond to the Report by 28 September 2018. He suggested that by the following week the Committee could take a decision on the draft response. The Committee agreed to the suggestion.